The official said that the construction in Phase II will begin after report from experts is ready. Chennai: Recently the Chennai Metro Rail Limited (CMRL) has appointed two new consultants. Which are Consulting Engineers Group CEG-AECOM consortium and Systra, a France-headquartered company to carry out the detailed design work for Phase II. The companies have been entrusted with preparing the detailed design for the two major corridors in Phase II — Madhavaram to CMBT and Madhavaram to Shollinganallur via Purasawalkam and Mylapore — that will be constructed first, according to official. The official sources releases that in July, the CEG-AECOM consortium was awarded the underground section of Madhavaram Milk Colony-Thousand Lights-Taramani Road and elevated section of Nehru Nagar to Sholinganallur section. The AECOM was a consultant which has also work on the preliminary design of Hyderabad Metro. Further official data says that Systra, which prepared the design for the Metro Phase, expansion from Washermenpet to Tirvottiyur, has been chosen for the CMBT route. The design reports will carry the exact location of each station, streets and roads Metro Rail will pass through and the land needed for the construction. The Phase II project will be built at a cost of ₹80,000 crore and will cover 108 km of the city in three corridors. 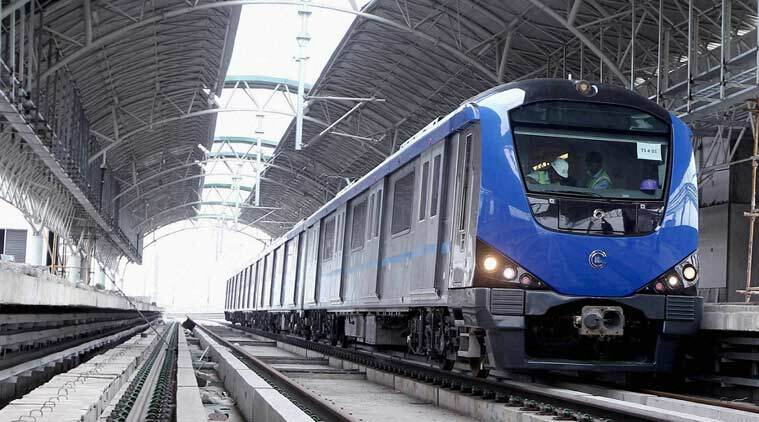 The Chennai Metro Rail Limited (CMRL) official said that the Japan International Cooperation Agency (JICA) will provide a large sum as loan and the State will fund about 25-30% of the project, CMRL officials say. Once the design part is over, the construction can start in full swing. Meanwhile, we are hoping to get the first installment from JICA. In the meantime the CMRL has also started sending notices to residents to acquire land for Phase II, for which they plan to take over 800 Properties. There have been also soil tests in several location of the city to find out the geological conditions before building stations and underground tunnel.